Superior Safe and Lock can also offer you matching architectural designs for your bathroom, lighting, cabinets and other hardware. Superior Safe and Lock is locally owned and operated in Michiana. In addition to providing a wide range of residential locksmith service to South Bend, Mishawaka, Elkhart and all surrounding areas, we offer several lines of architectural hardware to complement your home’s natural beauty and elegance. 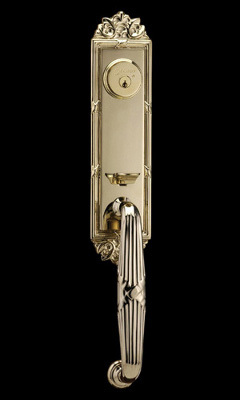 If you’re looking for classic porcelain or cut glass knobs for an older home; if you’d like to make a striking impact at your front door with an elegant, stylish handleset; or, if you simply need hardware installed, rekeyed or other locksmith services, call us today for superior professional service in the Michiana area.